« Pixar Fest at Disneyland Resort! 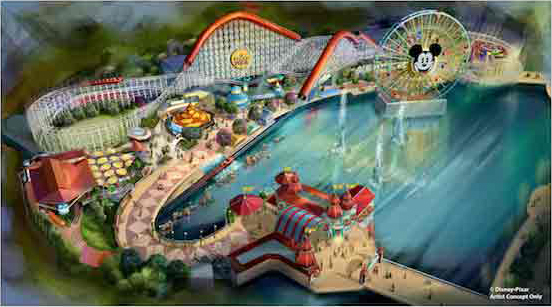 Paradise Pier Transforms Into Pixar Pier next summer! Summer 2018 will bring a transformed land for you to experience at Disney California Adventure® Park when Pixar Pier opens along the southern shore of Paradise Bay, with newly themed attractions, entertainment, foods and merchandise throughout. This new, permanent land in the area that is now Paradise Pier will introduce four new neighborhoods representing beloved Disney·Pixar stories. 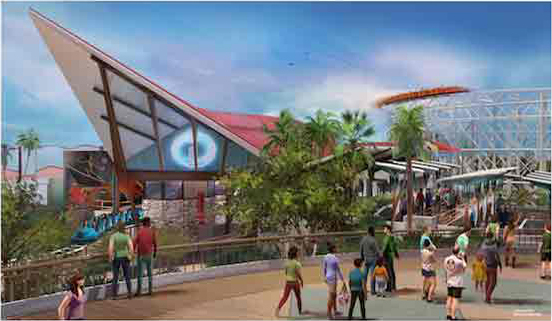 The first of the four themed neighborhoods you will find is inspired by “The Incredibles.” Here, the new Incredicoaster, permanently transformed from the attraction that is now California Screamin’, will open with Pixar Pier in summer 2018. This new experience will feature a mid-century-modern-style loading area, new character moments and a new look for the ride vehicles. To prepare for this transformation, California Screamin’ will close Jan. 8, 2018. Start planning your Disneyland Vacation now! Call us at 855-434-9397 or request a quote online! This entry was posted on November 6, 2017 at 12:12 pm and is filed under Attractions, Disney News, Disneyland, Theme Parks. You can follow any responses to this entry through the RSS 2.0 feed. You can leave a response or trackback from your own site.